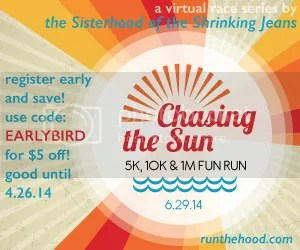 If you’ve been toying with the thought of running, now is the time! It’s time to lace up those shoes and hit the road. Literally. 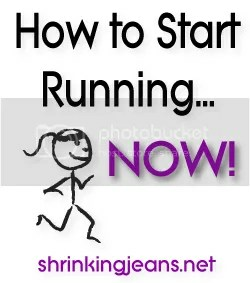 So read these articles and learn how to start running now with the Sisterhood! Couch to 5K, aka C25K– Read this great interview with Megan, one of our Sisters, who conquered the C25K Program. You should also read Erin’s inspiring C25K success story! Where to Get Started with Running – Everything you need to know about beginning running can be found in this special Sisterhood Running Series. Find the Right Pair of Running Shoes – Shopping for running shoes can feel intimidating. Never fear, because we have some great tips to make the process painless. Nutrition for Runners – How to properly fuel your runs, whether you’re trying to lose weight or maintain your weight. Common Running Injuries – If you don’t train properly, you’ll run into a plethora of injuries. Check out this series on the most common injuries and how to work through them. Like our Run with the Sisterhood Facebook page – It’s a great place to get your questions answered and find other people interested in running! Running Questions Answered – If you have any questions about running, check out Coach Joe English’s posts! He answers YOUR questions every other Monday here at the Sisterhood! If you have a question he hasn’t already answered, you can submit one to [email protected] and we’ll pass it along! I have loved running with ya’ll!! Now that I have my first half under my belt I am totally going back to the beginning and I am going to run! Like run run with more running and less walking!! It is time to step up my game…wanna watch?!? Oh I am so excited to read all of these. I am a newbie runner and want to conquer this too! I need all the support I can get, I am running by myself and half the time have no idea what I am doing. I am just out there, running…or what looks to be running! LOL! I can’t wait for the announcement- woot woot!!!! I read most of the links last night. I guess I must say that I am now a runner. The shoe one was overwelming and I went through thinking that I knew my feet. I looked at my shoes this morning and was totally off, I wear them down on one side, did not know that. Must get new shoes! 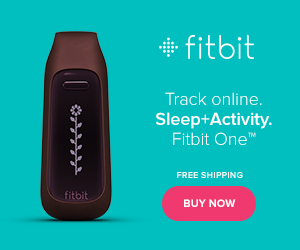 I am doing a C25K already but I’ve wanted to join a challenge here for a while now. I’m in. I am 56 and have toyed with running for years but have never been motivated enough to take the plunge.